There’s certainly nothing wrong with spending your next holiday navigating your way down busy touristy streets, shopping for that next bargain and sampling copious amounts of street food, all the whilst being surrounding by hordes of other tourists, street vendors and the occasional local. That’s all well and good for different people at different times of their lives. But sometimes what you may be after is something a little quieter, something a little less crowded, and something, well, a little more relaxing. If that resonates with you, then Fiji is the perfect destination for your next holiday abroad. Apart from being a quiet, less crowded, and relaxing destination, there are a number of additional reasons why Fiji should feature on your next itinerary. Here are 4 that will hopefully help you see the light. If you’re looking to really relax and de-stress on your next holiday, then Fiji is a prime choice. The Fijian archipelago is made up of 322 islands, and half of them are uninhabited. This means you can lay about on your own private beach away from the crowds, and perhaps with that special someone or family by your side. Picture stretches of beautiful white sandy beach, sparkling turquoise water, and palm trees aplenty. Looks great, doesn’t it?Visit an online travel agency such as My Holiday Centre for more information on the islands and just where you can stay. Take part in a Kava ceremony – a unique and traditional local custom amongst the Fijian people – on your next holiday to Fiji for something a little different. Kava is a traditional drink made from a natural herbal ground root. Although it may look like muddy water, and taste like it too, it induces a feeling of relaxation once consumed; a perfect start to your relaxing Fijian holiday! Unless you’ve swam in the crystal clear turquoise waters surrounding the Fijian archipelago, then you really haven’t experienced the beauty and magic found in the aquatic world. The reefs surrounding the Fijian islands are home to a huge variety of colourful fish, Manta rays, sharks, and many more species of marine life and beautiful coral. So grab a snorkelling set, or get some diving equipment, and explore this underwater world for yourself on your next holiday to Fiji. Finally, if you’re more of an adventurous traveller, then Fiji has enough to keep you occupied (and sweating) for your entire stay. For example, why not do a jungle trek in between the snorkelling, swimming and cocktails? 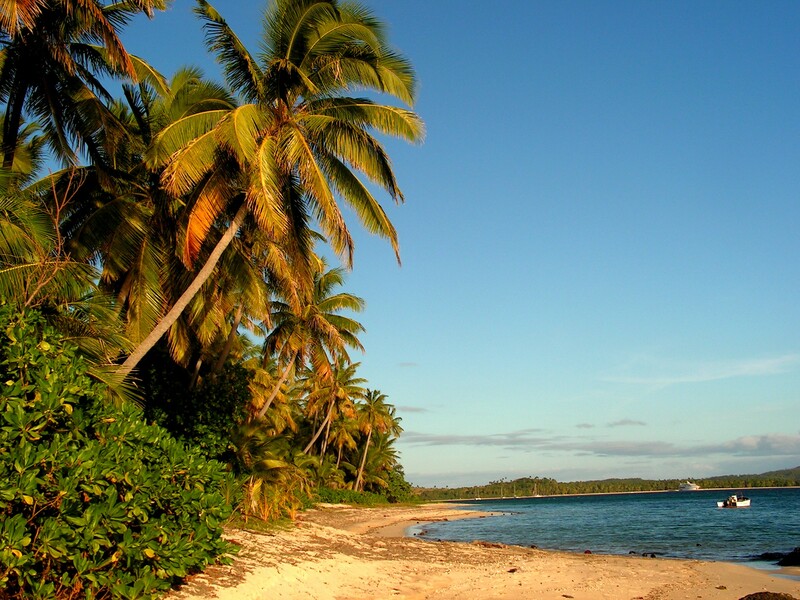 There are a plethora of quality tour operators running treks throughout the Fijian jungle. And although it’s hard work, muddy, and tough, it’s definitely a worthwhile experience. Imagine being surrounded by all that greenery, and hearing the sounds of animals all around. The more experienced guides can also teach you about life in the jungle, basic survival skills, and about Fijian customs. Oh, and you can also finish off the trek with a quick dip in the cool refreshing waters of an inner island waterfall, or go for a swim at the beach, which is never too far away in Fiji. If you’re still not convinced Fiji should be your next holiday, do a simple Google image search and let the pictures speak for themselves!